As I posted on day 2 of this journey I’ve come to the realisation that I’ve been wasting a whole heap of money on buying tins of chickpeas and also jars of organic peanut butter! 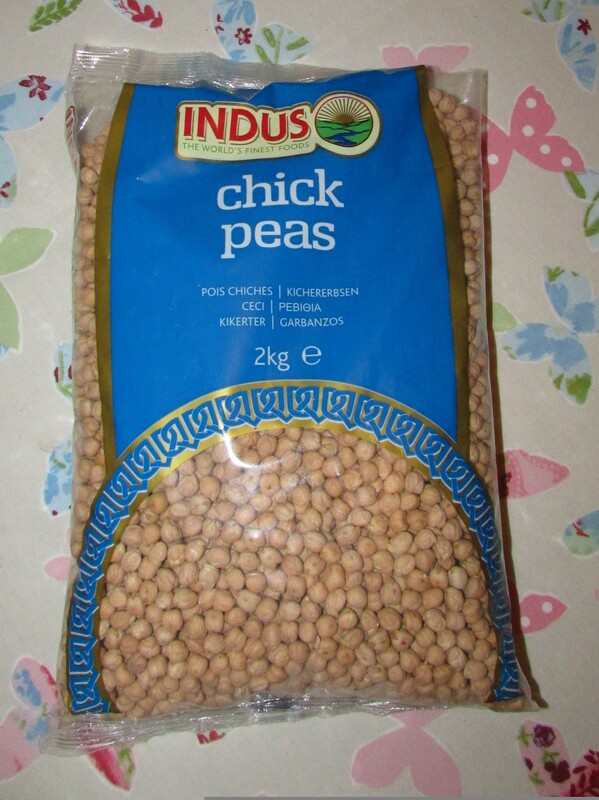 One 400g tin of chickpeas at Tesco’s is 55p but if you soak your own dried version the equivalent works out as just 14p. We eat a tonne of hummus a week. It was one of the only foods my daughter would consistently eat as a baby. Like oats (see our flapjack recipe here), chickpeas, are rich in soluble dietary fibre which is great for removing cholesterol from the body and keeping you regular (if you know what I mean). Soluble fibre also helps stabilize blood sugar levels, so if you have diabetes, insulin resistance or hypoglycaemia chickpeas can help you balance blood sugar levels while providing steady, slow-burning energy. Chickpeas are high in protein and an excellent source of the trace mineral manganese, which is an essential cofactor in a number of enzymes important in energy production and antioxidant defences. Just one cup of chickpeas supplies 84.5% of the daily value of this mineral. They also contain good levels of folic acid and magnesium both essential in pregnancy, with 1/2 a cup making up around 30% of your RDA (Recommended Daily Allowance). Chickpeas have a high iron content and therefore are an essential component to a vegetarian diet. Just 100g provides over a third of your RDA. Iron is an integral component of haemoglobin, which transports oxygen from the lungs to all body cells, and is part of key enzyme systems for energy production and metabolism. In a blender combine all the ingredients and blend until smooth. If the mixture is sticking drizzle in a little boiling water until things get moving. You can then continue to add water until you reach the consistency you require. I like it to be the consistency of whipped butter. If you like it hot, add 1 dried chilli. Finish with a drizzle of olive oil. Serve with chopped British carrots (ours were from our veggie box supplied by The Market Garden at Eynsham) or on toast. 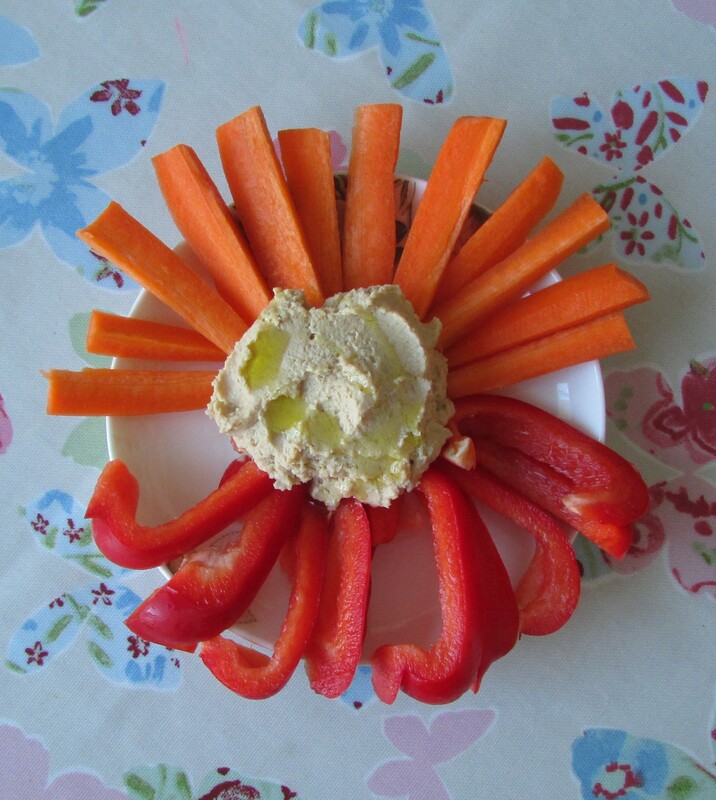 In total this hummus which is equivalent to 3 large tubs of supermarket hummus (costing £3), cost only £1 to make. This entry was posted in Frugal family recipes, Low cost Lunches on January 8, 2015 by carolinementzer.